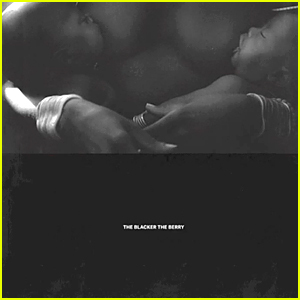 Kendrick Lamar recently dropped the track “The Blacker The Berry”, what has been called a “Black Anthem” that deals with the hypocritical racial self hatred in the Black community. As a hip hop head I was hype to first listen to the song, hoping that it would say something critical, contextually accurate, reveal the true issues at hand & I was unfortunately immediately disappointed. The song left a bad taste in my mouth, it was disrespectful, lecturing, and inaccurate. “The Blacker The Berry” has been quickly gaining traction since its release and its for a very particular reason: Black pathology sells (H/T @thetrudz). Kendrick Lamar first draws attention to the civil war between the Zulu & the Xhosa, stating that it reminds him of the Compton Crip gangs. Then he continues the verse communicating that no matter how much he loves & enjoys being Black & Black culture, its hypocritical for us to mourn Trayvon Martin when Black people kill Black people. On the surface this may appear to be a valid critique. Queue all the “we have so many divisions in the Black community” arguments & the “Black people are crabs in a bucket” retorts. Kendrick Lamar manages to SKIP over colonialism, imperialism, neocolonialism, white supremacy racism, cishetpatriarchy, and capitalism. The arguments that he made in the first two verses fall flat and context is lacking in his third verse which blindly compares the Zulu-Xhosa disputes with gang violence. Here’s the thing, Kendrick is speaking of self hate but not the root cause of it. Intraracial killing & crime is caused by a long list of things: proximity, opportunity, poverty, self hate, hegemonic masculinity, etc.. BUT he tapped into a reservoir of white supremacist victim blaming & thinking, by discussing self hate as if its a choice. Its more complicated than that. Having respect for yourself and loving yourself as a Black person is not enough to dismantle white supremacy. 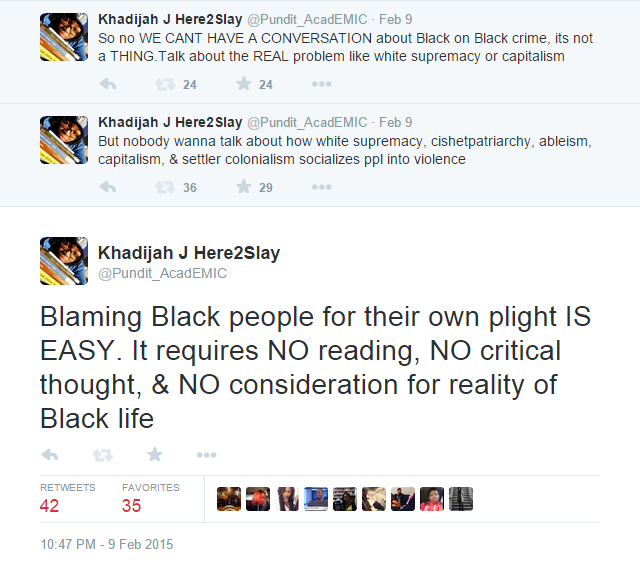 Self hate among Black people isn’t something Black people CHOSE. Anti-Blackness is a CORE requirement of white supremacist racism & we are all socialized into it, seeing that we all live in a colonized world ruled by the people who created a system that pit us at the bottom, as the ultimate other, as not human. This is why I think the thesis of this song fails and becomes just another typical victim blaming track, the perfect means to derailing the legitimate social, political, & economic concerns of Black people into more of a “Oh, you might want to fix your ‘own problems’ before you lash out at murderous state police”. The mention of Black on Black crime & intraracial violence undoes so much of the conversation that Kendrick already had in the first two verses. Self hate among Black people, like that of intraracial crime & murder is a consequence of being socialized into white supremacy, capitalism, & cishetpatriarchy. This is something that the Black Panther Party understood well. 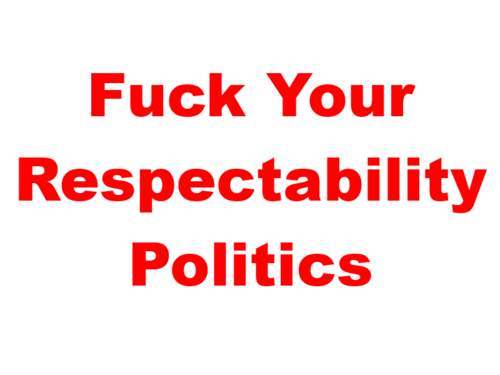 Their politic is quite reflective of that. 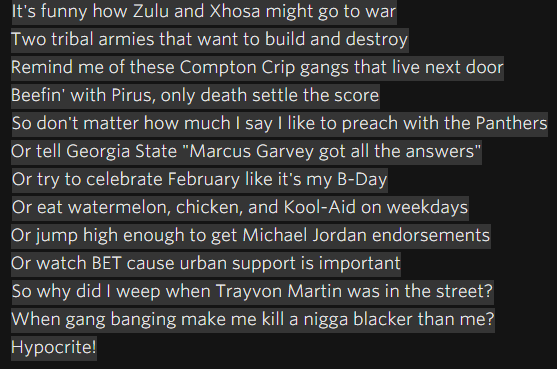 Why reference the Black Panther Party and Marcus Garvey in the verse while also ignoring their politics? 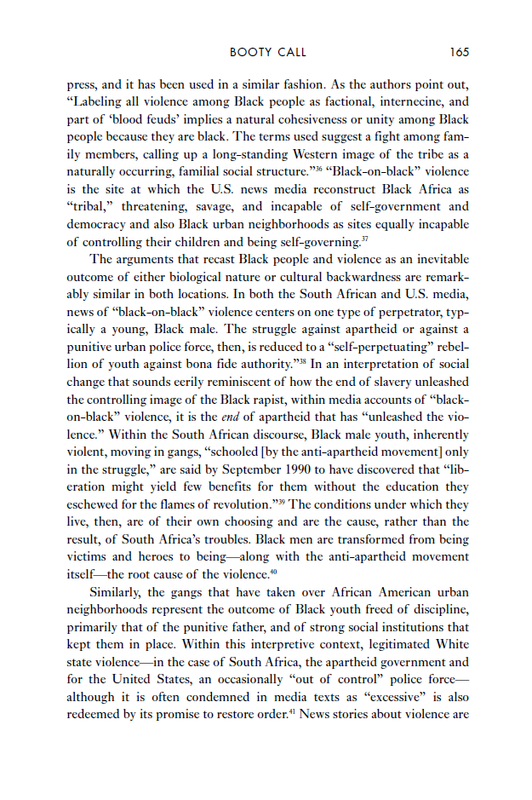 The Black Panther Party’s community activism was able to reduce intragroup violence in Black communities because they directly addressed the problems that lead to such violence: rampant poverty, underfunded schools, lack of resources, lack of equitable relationships to power structures, etc.. Criminology research has actually revealed that crime is driven by proximity and opportunity. Black on Black crime is one of the FIRST & MOST USED derailments whenever Black people are mourning Black lives lost to extrajudicial murder by the state. But for some odd reason people want to skip over the fact that about 86% of white people are killed by white offenders. Which also makes logical sense since the United States has a GIANT problem with racial residential segregation. Everybody conveniently skips over modern history where white people are responsible for world wars that have killed thousands of white people, BUT white on white crime is not a thing. The inherent violence of white supremacist racism has never made white people inherently violent in the eyes of the public & the media. What happened to hip hop being a vehicle to provide amplification to the voices that this society listens to? What happened to hip hop reflecting the struggles & speaking to the lives of poor Black people across the African/Black Diaspora? Now we have the majority of “conscious rappers” spitting respectability politic lyrics & telling us that Black Lives only matter when Black people are perfect. 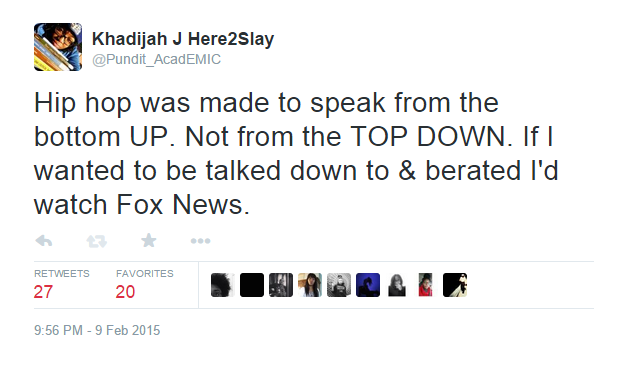 Respectability politics has never saved Black lives and it NEVER will. The fact is we need to widen our scope & understanding of what is responsible for ALL forms of violence in our society and question why we are so swift to solely blaming people of African descent for their own oppression. Such victim blaming doesn’t help Kendrick’s Black listeners; which begs the question: WHO IS HE WRITING THIS MUSIC FOR? Tracks like this are constantly used to dismiss and derail the REAL, RIGHTEOUS, LEGITIMATE, & VALID anger and pain of Black people across the Diaspora and on the continent of Africa. We are constantly robbed of our right to express pain due to the loss of Black lives taken too soon. But there’s a huge problem with attempt to shift the conversation: There’s no such thing as “black-on-black” crime. Yes, from 1976 to 2005, 94 percent of black victims were killed by black offenders, but that racial exclusivity was also true for white victims of violent crime—86 percent were killed by white offenders. Indeed, for the large majority of crimes, you’ll find that victims and offenders share a racial identity, or have some prior relationship to each other. 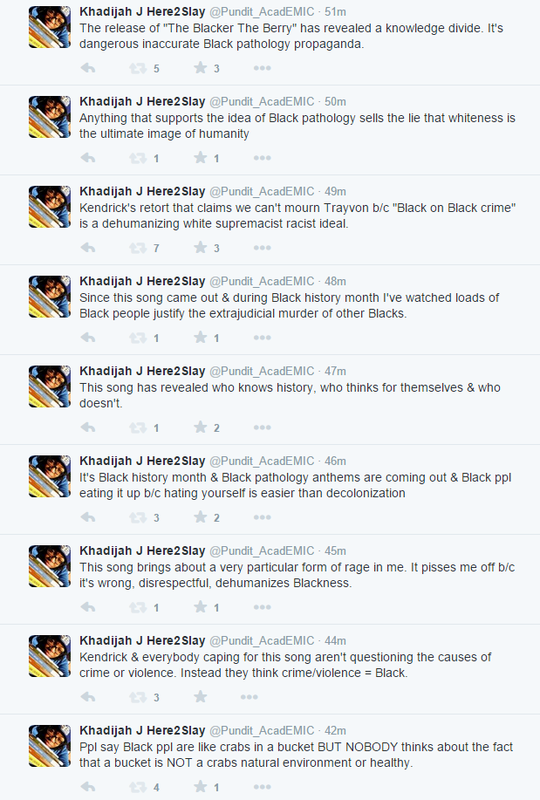 Kendrick inaccurately & disrespectfully dragged Trayvon Martin’s name to defend a myth. 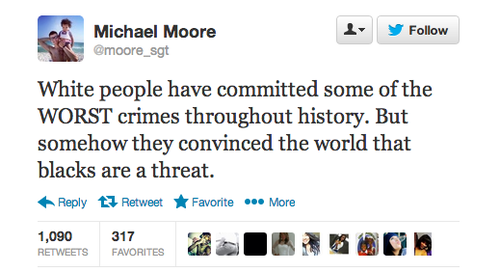 BLACK ON BLACK CRIME IS A MYTH. It’s not real. Crime is a social construct driven by social, political, and economic systems, institutions, and factors. For some odd reason not many people question how and why Black people are the only ones to get an exclusive crime category/statistic. Black people aren’t dangerous & detrimental to ourselves. The causes of what many ahistorical and apolitical people think is “Black on Black crime” is the same thing that killed Trayvon: the intersections of white supremacist racism, cishetpatriarchy, ableism, and capitalism. If you place a disempowered population into cramped neighborhoods without resources to live equitably, remove their access to power structures, create an education system that indoctrinates them into Anti-Blackness & robs them of educational advancement, tell them to get money & survive by any means necessary, & then tell them their lives don’t matter and they have no history you will end up seeing them embody and internalize that self hatred & follow the rules of society. Constrained agency is NOT freedom. All crime is highest within groups because the U.S. is a HIGHLY RACIALLY SEGREGATED settler colony. DOES ANYBODY FIND IT ODD THAT WHITE PEOPLE ARE RESPONSIBLE FOR WORLD WARS THAT KILLED MILLIONS OF OTHER WHITE PEOPLE BUT WHITE ON WHITE CRIME ISN’T A REAL CATEGORY/STATISTIC? You ever ask that question? Kendrick’s song is lazy. 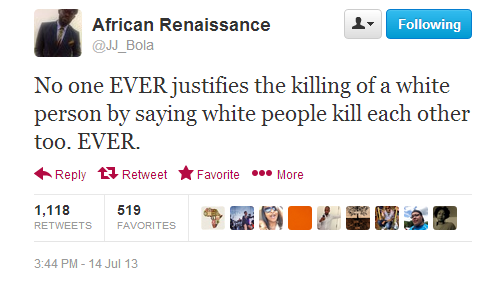 It’s inaccurate & disrespectful to mourning Black people who are seeing an unjust system murder us at genocidal rates. Kendrick has all that money but can’t buy a book or Google why and how “Black on Black crime” is a victim blaming myth. “The Blacker The Berry” engages in a dehumanizing respectability politic meant for the purposes of telling Black people we can’t fight for each other because we aren’t as perfect as society’s problematic image of whiteness as the ultimate humanity & kindness. Kendrick & anybody else who agrees with the notions of this song need a reading list and history lesson. If you want one I will definitely give you one. But don’t sit there on your respectable high horse & support this ahistorical apolitical inaccurate song because it fits the white supremacist racist idea of Black pathology. 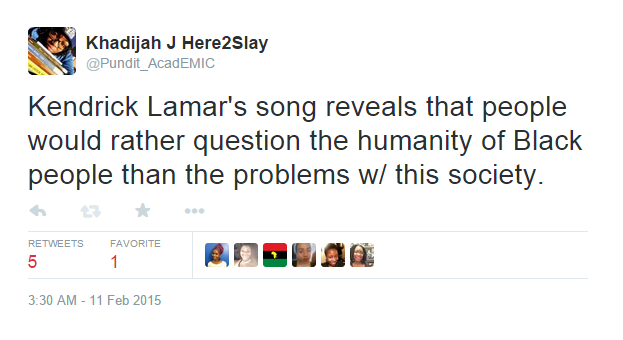 Kendrick Lamar’s “The Blacker The Berry” is literally proof that pathologizing Blackness sells. What you said! I saw all the tweets for/against The Blacker the Berry track, then read your piece. So glad I did. Keep slaying with the truth! As’e.